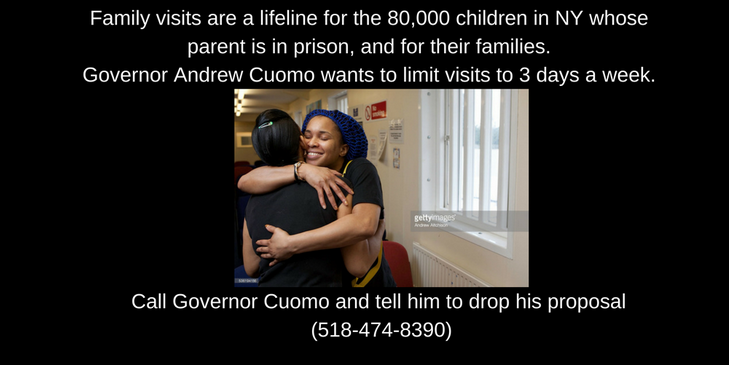 There will be a ‘thunderclap’ on March 28th to urge Governor Andrew Cuomo not to restrict prison visits in New York State. 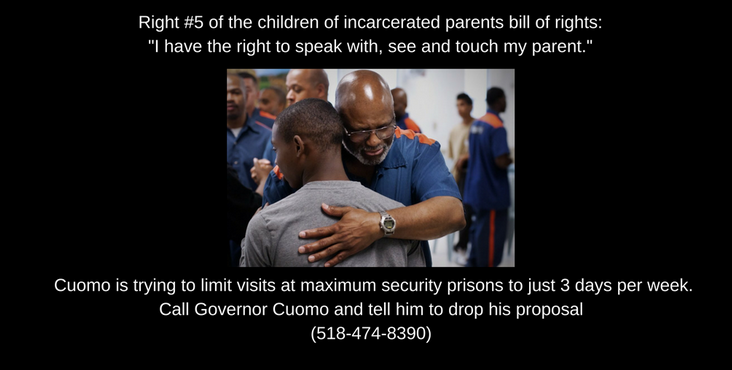 If you are on facebook or twitter, you can participate by having Thunderclap post to your page or tweet. The more, the better! Please check out the link below and participate in the Thunderclap. 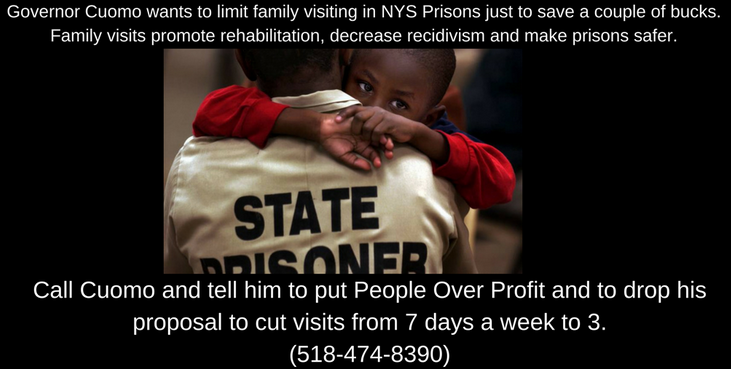 Join the Thunderclap to save visiting at maximum security prisons in NY State. 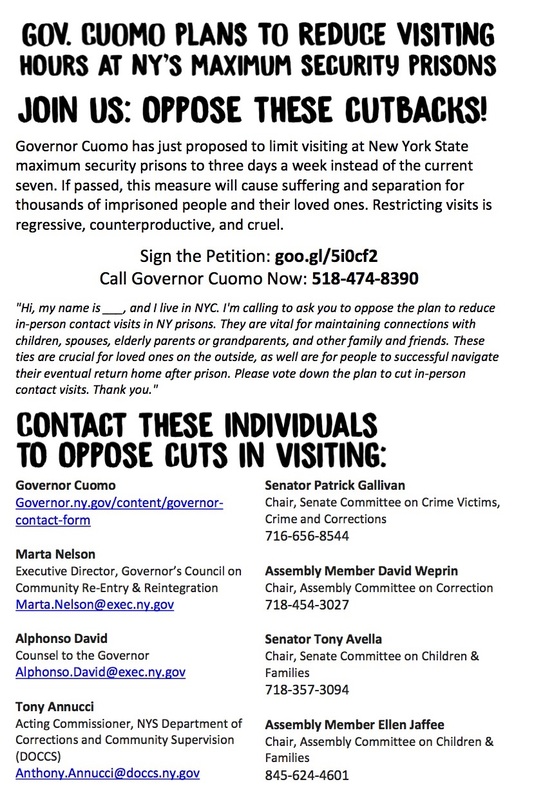 Join a partnership of advocates to support and strengthen visiting by joining a Thunderclap campaign to urge Governor Andrew Cuomo not to reduce the visiting days for people incarcerated at maximum security prisons in New York State. 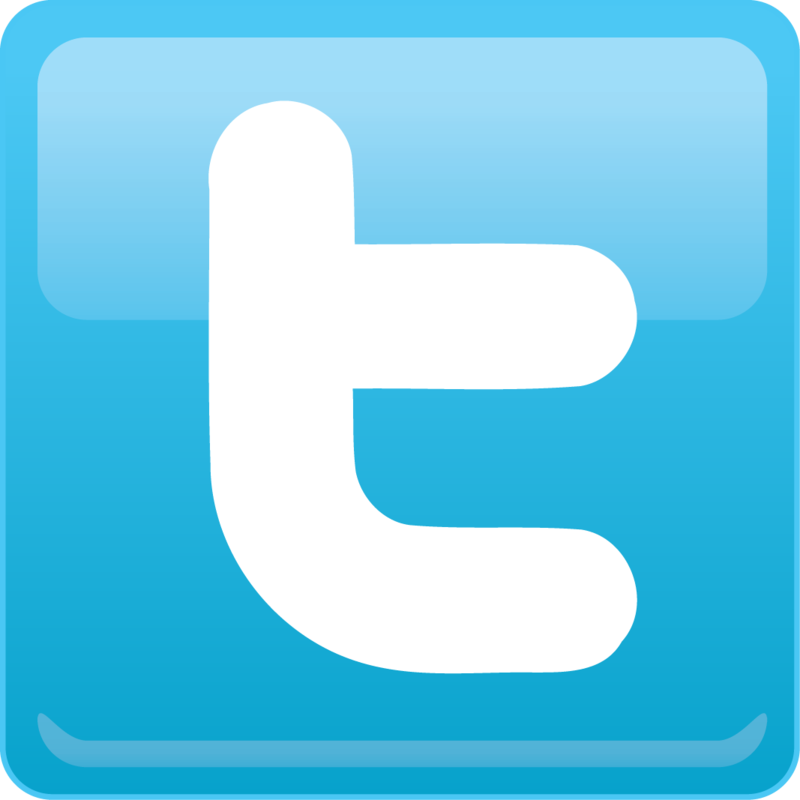 Thunderclap will send out tweets and Facebook messages on the same day, March 28, to draw attention on social media to the need to support visiting and encourage people to take action.